Welcome Blythe! This is your fourth, fourteenth century medieval. IN The MASTER’S BED is set in Cambridge, England in 1388. Is there a particular reason you chose that setting? The book is a spinoff from The HARLOT’S DAUGHTER. It’s the story of the sister, or the harlot’s other daughter, as I like to say. I knew I did not want a large gap between the stories, so this one starts just after the epilog of the previous book. The location, however, did change. I knew I wanted Jane, my heroine, to run away disguised as a boy to study at University, but I originally planned for her to go to Oxford. 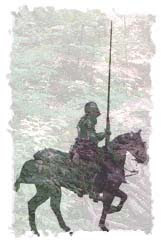 As the story took shape and my research broadened to include the back-story for my hero, I knew that once again, King Richard’s court would play a role. I was delighted to discover that Parliament met in Cambridge (or, more properly, Caumbrigge or Cantebregge) in the fall of 1388. That fact brought the story into focus, as well as giving me some wonderful historical information about the city in that year. Anything about the setting that constrained you or that you had to plot carefully around? First, because I incorporated real events (the Battle of Otterburn, the Parliament in Cambridge, a subsequent meeting of the King’s Council) I wanted to be accurate in my accounts of those events. And that turned out to be particularly challenging when I discovered that there is no historical consensus as to the exact date of the Battle of Otterburn actually took place! In addition, I tried to be very conscious of the academic year and the daily schedule. Lectures started at 6 a.m. and as a master, my hero had to be up before that to unlock the church for morning worship. I was careful of the starting and ending dates for the terms and vacations, too, as well as the requirements and accomplishments for students at each level of study. Not a plot constraint, but a character challenge was the search for a way to portray the medieval attitude toward women. I reined in some of the accuracy so as not to offend modern sensibilities. Absolutely! The University at that time was still largely a religious, not a secular, institution. To be a master, as my hero is, you had to take “minor orders” and wear a tonsure. If you’ve seen the pictures of monks at that time, that’s the funny hairdo with the shaved head and the fringe around it. I flat out fudged that one and let my hero keep his hair! Minor orders, fortunately, did not commit him to celibacy, so I did not have to fudge that. Tell us a little about your hero. Since my heroine had appeared in a previous book, I knew her story well. She was inspired by a real person, the illegitimate daughter of King Edward III of England and his notorious mistress, Alice Perrers. My research at that time said she married a “Richard Northland.” “Northland” was the beginning of a voyage of discovery to find my hero, Duncan. I decided that he had come from Westmoreland, the “north land” of England, which at that time was considered barbaric. In fact, Queens College at Oxford was founded especially for students from the “north land” because of the “waste, desolate and illiterate condition of those countries.” By coming south, he would have faced ridicule and certainly been made fun of because of his speech. The best parallel is the north/south divide we have in the U.S. The southern accent is generally looked down on by speakers of “standard English.” It was the northern accent that was disdained in medieval England. That really gave me a clue to his character. He’s a man with something to prove. How about something fun, like his favorite childhood pet, or his first kiss. My hero plays the guitar, or, as it was called then, the gittern. That comes in handy when rowdy young students want to sing drinking songs, but it is also a window to his character and a wonderfully romantic way for him to relate to the heroine. In your research, did you stumble across anything really interesting that you didn’t already know? Always! Even though this is my fourth book set in the 14th century, I had much to learn about this particular period and medieval Cambridge. Since I’m talking with the History Hoydens, I’d love to share some of the fascinating bits and pieces that somehow didn’t fit into my story. If you read the book, however, you might find a phrase that captures the echo of this history. · In 1381, just seven years before my story is set, the Cambridge townspeople, angry at what they saw as University privilege, stormed several of the colleges and even attacked the University church, dragging many chests of university documents and records into the marketplace and burning them. One woman is reported to have yelled “Away with the learning of clerks!” As a result, the documents that might illuminate the University’s history were largely destroyed. And the result was not what they were hoping for. The King gave more power to the University instead of less. The University received full control over weights and measures, and the right to punish offenders with fines and collect the fees. · Students at medieval universities throughout England and on the continent tended to organize themselves in what they called “nations.” At Oxford, they were called the boreales, students from Scotland and the north of England, and australes, Welshmen, Irishmen, and those from the south of England. (There’s that north/south conflict I talked about.) Animosity between these “gangs” was so great that during the same school year my story is set, there were riots in the street at Oxford and students were killed. · There were seven “liberal arts” studied at University. The first three were called the trivium. Hence, trivia. “Cursory” lectures consisted of the master reading aloud from a book, a necessary and efficient way to transmit information when books were scarce. Interestingly, researching this book lead me to my next. Learning about the “north land,” I became intrigued with life on the border of England and Scotland. My next book will be set there, only this time, on the Scottish side of the line. Thank you for having me here. It’s a pleasure to visit the History Hoydens again. And I invite readers to visit my website, www.blythegifford.com, and check out my schedule. This is just one stop on my “Blog until you Drop” tour and I’d love to have company! Have you ever ridden a train through the High Sierras? Through mile-long tunnels and along tracks that cling to mountainsides overlooking deep canyons? The most spectacular and dangerous routes were hacked out of solid rock, by hand, by small (110 lb), tough, energetic Chinese laborers who hauled off the earth and rock in tiny loads and, as winter approached, worked 3-shift, 24-hour days. Clearing the path for the laying of railroad track encouraged competition among crews. Fifty-seven miles from Sacramento, the Central Pacific Chinese crew ran into a shale mass in the flank of the Sierra, 200 feet above the gorge of the American River. Track would have to be laid along a ledge with no footholds, 1400 feet above the raging river below. The Irish took one look and began protesting because it was so dangerous. The Chinese took over and triumphed. Lowered down the face of the cliffs in wicker baskets, the Chinese crews pounded holes in the rock, stuffed them with black powder, and set fuses. They were then hauled up out of danger, and when the smoke cleared the hunks of rocky mountainsides had come tumbling down. The Chinese crews lost not a single man during this dangerous enterprise; they were paid $35 per month and that didn’t include food or lodging. They lived in on-site wind-whipped huts or dank caves and ate Chinese delicacies shipped from San Francisco and prepared by the Chinese camp cook. Blizzards in the winter of 1866-67 all but stopped progress, but the Chinese continued to bore tunnels through solid rock, even though the men were often cut off by snow and had to eat stockpiled food. Because of the constant avalanches, tunnels were cut under the snow for access from lodging to work site. The Great Track-Laying Race occurred after this bitter winter when both railroads, the Union Pacific and the Central Pacific, were to connect in the desert. By this time, the Central Pacific crews included Irish men. For a time the separate Irish and the Chinese crews competed in clearing grading, with neither side warning the other of impending explosive blasts. The Great Race between the Union Pacific and the Central Pacific began when each railroad owner wanted to beat the other to the connecting. Guess who won? The Central Pacific’s combined Irish-Chinese crews managed to lay 10 miles of track in 12 hours and thus proved their superiority. The burly Irishmen would lug the iron track sections and drop them into position, and the Chinese would hammer and rivet them in place, by which time there would be another section of track waiting. Source: The Railroaders [The Old West]; Time-Life Books, New York. My post is a wee bit late today. That's because I've been chugging away on a new book, which needs to be done... well, we won't talk about that. Every now and again, though, the great gods of research smile upon harried, desperate authors. As part of one of today's scenes, it became imperative that my characters play a game of Blind Man's Buff. As I was writing the scene, I had one of those panic attacks impossible to explain to anyone but another writer of historical fiction: the horrible fear that Blind Man's Buff might be one of those insidious Victorian additions that we blindly believe has been around longer. There are lots of those. They're sneaky little devils, those Victorian additions. My book is set in 1803. That would not have been good. Have you had any major research miracles recently? In the U.S., we have a long-standing tradition of "history as argument" -- our history is rarely fixed, and instead is characterized by the ongoing back-and-forth arguments we have over The Truth. It's been said that the victors write history. That may be true in the case of the American Civil War, after which many history books were modified to remove the contributions of the states that had seceded. The official school texts of my childhood made no mention of Jamestown, Virginia, the first permanent English settlement in the USA. Instead, I was taught that Plymoth Rock (founded a full 20 years later than the Jamestown settlement) owned that honor. (As a disclaimer of sorts, I was raised in a town barely north of the Mason Dixon line; perhaps the fighting had been particularly grim in that location). Others say it's not the victors, but the misfits who have written much of our accepted history -- those on the fringes of society, who have nothing better to do than sit around and write commentaries on how those in power behave. This case is often made of the 1950s and 1960s in America, when the fringe elements of the Beats and the Hippies defined what "the Establishment" was doing, and painted the majority of society as conformists. The men and women who "conformed" -- who were quietly raising families, working jobs, and participating in society -- had little time or inclination to write commentaries on the times, or so the argument goes. Historians debate how much attention to give to outliers (the "fringe" elements of an historical time). Often, the fringe elements are presented in as much detail as the majority elements, leading to a somewhat skewed perspective. From some historical discussions of the late 1960s, for example, one might believe that 80% of the adults in the USA participated in the hippie movement. Perhaps this is a natural effect of the colorful and interesting photos we have of the hippie movement; photos of my staunchly conservative parents would not make for an exciting text book chapter. One battle currently raging involves the history of the Japanese Internment during World War II, when over 120,000 people of Japanese descent were forced from their homes on the west coast of California into internment camps in the deserts of the interior United States. Their property and rights were stripped from them, and the popular historical perspective is that these detainees accepted their lot with passive resignation in a unified spirit of patriotic sacrifice. However, a significant number of these men not only fought relocation, they refused mandatory military service, choosing to serve years in prison rather than fight for the government that had betrayed them. Today, many Japanese-American groups are trying to suppress the actions of these men, believing them to be shameful and to tarnish the reputation of all Japanese-Americans. The argument is that the actions of a minority should not be written into the historical account, because they might outweigh the historical truth of the majority. But in my opinion, history should never be a zero-sum game. For over a decade, a U.S. Civics textbook written by my late mother-in-law was the number one 9th grade civics text in the United States. She'd devoted much of her working life to evaluating teaching materials for societal and political biases, and worked tirelessly to ensure her text was even-handed and as free from such bias as possible. But she couldn't control everything, and one particular caption in a 1986 edition of the book bothered her greatly. In the section on Immigration and Naturalization, the editors included a photo of Albert Einstein taking the oath of U.S. citizenship. The caption in my mother-in-law's book read: "The world's most famous scientist, Albert Einstein, is sworn in as a new citizen of the United States." What the caption didn't say: the year was 1939, and Einstein, like many other Jews, had been driven out of Europe (in fact, I don't think I've ever seen him look sadder than he does in that photo). From the sanitized caption that was printed, many students were probably misled as I'd been misled about Plymoth Rock. Given my woefully inaccurate historical education, I wonder if there are other "minority views" of history that I'm missing. And, if authors use minor details of history in their works, does it make the book less believable (because the details are not well-known) or does it add to the verisimilitude of the story? I'd love to hear your thoughts. I think it's Shelley's 1822 death in a boating accident (not quite 30 years old! Why, oh why, didn't he let Lord Byron teach him to swim?) that lies at the root of my interest in Regency figures at the seaside. In any case, I began The Edge of Impropriety with a boating accident, and ended it with a happier trip by water. But what did they wear during that period when sailing? 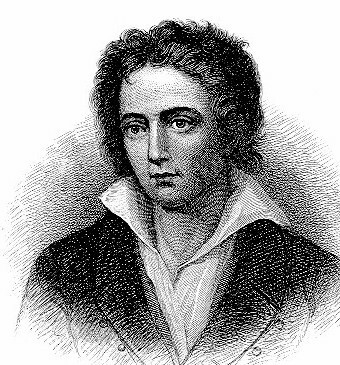 No point patterning anyone after Shelley: this radical, atheistical, vegetarian son of a baronet (who borrowed every penny he could against his expectations, with the aim of depleting the family holdings by the end of his life) wore threadbare shirts wherever he went and rarely bothered with neckware. The prototypical romantic poet would have been sadly out of place among the gentlemen of Regency romance -- and anyway, he seems to have mostly gone sailing with his guy friends and left Mary, Claire, Mrs. Leigh Hunt, and the rest of the ladies home with the babies. In the prologue to Edge I mentioned that Lady Hedges is "dressed for boating," but I didn't go into detail. And the guilty secret (now it can be told!) is that while I was writing it I rather imagined she and her husband board their sailing vessel dressed like Edwardians -- white linen, white flannel, perhaps even "boater" hats. Entirely off-period, but good enough to get me through writing a prologue and imagining a set of supporting characters. So I posted an inquiry on the Beaumonde discussion loop, and was guided (most clearly, of course, by our own Kalen) to various period fashion plates for ladies' seaside wear, and some terrific background information about water and watering places as well. Of course, a truth little acknowledged (by readers -- or writers) of Regency romance fiction is that the second decade of the 19th century wasn't the loveliest ladies' fashion decade, the gowns being increasingly plagued by those hellish ruffles. Looking at the fashion plates, it seemed to me that all the clothes in the fashion plates were chosen for a certain artistic, even romantic, beach effect -- aforementioned ruffles flutter in a gentle breeze as the lady gazed poetically out to sea. If your female character is going to sail, make sure she's wearing fabrics that are closely woven and sturdy, in styles that don't billow. Sailing ships, from the smallest to the largest, are loaded with ropes that love to grab anything loosely woven or flapping in the breeze. She will also need a pelisse, both to control the skirts of her dress and to keep her warm since it is nearly always cool to cold on the water. So the ruffles that started appearing on clothing in the latter Regency are awkward at best on board a yacht. She will also need sturdy shoes that won't skid easily. But as to "rational creatures" being rational about what they wear...? Which was when I knew what's going to happen aboard my boat -- a war between the rational and the not-so, fashion-wise. A face-off between the wearers of pelisses, sturdy shoes, etc, and the true believers in fashion. Except, for some reason, I didn't want to say "pelisse," a word that always sounds furry to me. ...does not seem in the least backward in any attention. He is a most charming young man. Ever since the service he rendered Jane at Weymouth, when they were out in that party on the water, and she, by the sudden whirling round of something or other among the sails, would have been dashed into the sea at once, and actually was all but gone, if he had not, with the greatest presence of mind, caught hold of her habit -- (I can never think of it without trembling!) -- But ever since we had the history of that day, I have been so fond of Mr. Dixon!" Of course, Miss Bates only has this from the very secretive Jane -- and Emma, as we know, will make of it what she will -- but one thing I'm sure we can believe is that what Jane was wearing is a... habit, quite, as Allison put it "to control the skirts of her dress and to keep her warm." Except that I'd though that habits were only worn by riders and nuns. At which point in the process I had to break a rule I've lately set so that I can achieve even a minimum daily word count -- which is wait until later to check the period accuracy of a word. Nope, in this case we were going straight to my beloved OED (free online for all holders of San Francisco Public Library cards) to... to what, check Jane Austen's period accuracy? Well, to get more of a feel for how else the word was actually used at the time. By, as it turns out, Jane Austen again -- who has Catherine Moreland wearing a habit on the rainy day she's first driven to Northanger Abbey. While Walter Scott, in 1824, points out that riding-habit as a specific use of the word feels, at least to him, relatively recent, when he refers to "The elegant compromise betwixt male and female attire, which has now acquired, par excellence, the name of a habit." Anyway, I love "habit" as something a Regency lady would wear to sail. Even, or especially, when her sensibility might favor the flutter of ruffles, "habit" sounds to my ear more like an imposition of sense and discipline than "pelisse" does. Want to take bets as to whether some future editor will let me keep it? Do you love using the OED as much as I do? And what excellent research resources (textual or human) are you especially grateful for? This will be a short post because I'm juggling multiple deadlines, but I wanted to share one of the "eureka" moments I experienced during my research on Marie Antoinette. Last spring I read more than a dozen biographies of her and was surprised that very few historians or academics mention the fact that the young Austrian archduchess Maria Antonia Josepha Johanna Hapsburg von Lothringen underwent a comprehensive physical makeover to make her appearance more attractive to the French. Negotiations to wed Antonia to Louis-Auguste, the dauphin of France and grandson of King Louis XV, began in 1766 when she was only ten years old. The talks dragged on for years, not atypical for a dynastic alliance. By 1768, Antonia's mother, the Empress of Austria Maria Theresa, still had no firm commitment from Louis XV. Something had to be done to hasten the process, as Austria (with Frederick the Great of Prussia and Catherine the Great of Russia eager to chew off pieces of the empire) desperately needed France as a political ally. In order to prove to Louis what a beauty her youngest daughter had become since their negotiations began, in 1768 Maria Theresa commissioned the French portraitist Joseph Ducreux to immortalize the then-twelve-year-old Antonia in oils. Antonia (who years later would confess "I am terrified of being bored" ) was notoriously too impatient and exuberant; and after five sittings, the result was disastrous. So Ducreux literally went back to the drawing board. The result was this portrait of the thirteen-year-old archduchess, not completed until 1769. It was then sent to Versailles. In order to create this image of teenage perfection Antonia's hairline had been altered. The first step was the removal of a woolen band that her governess had used for years to keep her unruly strawberry blonde curls off her forehead. The band had been so tight and had been used for so many years that it had resulted in hair loss, with bald patches near Antonia's hairline. In addition, her high Hapsburg forehead was judged too unattractive for French tastes and a Parisian friseur, or hairdresser, named Monsieur Larsenneur was sent to Vienna to soften the hairline and create a flattering new hairdo that would disguise the problem. The style, named à la dauphine, became all the fashion for the young Viennese. In Ducreux's portrait Antonia's hair has been lightly powdered. After letting my fingers do the walking in cyberspace, I not only came across the technique that would have been used at the time, but the name of the dentist who did the work! Finding the name of Pierre Laveran, who came from a family of respected dentists, was the "eureka" moment. It was enhanced by my discovery of the technique that would have been used at the time, a horseshoe shaped device made of precious metal with perforations at regular intervals through which gold wires were threaded. 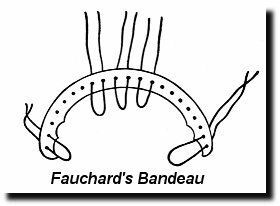 The device, called "Fauchard's Bandeau" was a revolutionary technique developed by Pierre Fauchard, widely considered to be the father of modern dentistry (and orthodontics). Fauchard's 1728 treatise, "The Surgeon Dentist" (or, in French Le Chirugien Dentiste) was the dental Bible of the age. Discovering Fauchard and his method of applying braces to someone's crooked teeth was a golden research moment for me. Taking the process one step further to find the name of the dentist who actually applied the bandeaux to Marie Antoinette's teeth, took it platinum. Have you ever gone searching for information and stumbled upon exactly what you were looking for -- the tiny detail or tidbit of arcana that added additional authenticity to your novel -- even though you might be the only geek who would ever know (or care) that you hadn't made up the information? P.S. The photo below is a postscript to a comment I made on Kathrynn's recent post about Dark Heroes. We were discussing Brian de Bois-Guilbert in Ivanhoe, and I mentioned that I had adapted the novel for the stage and played Rebecca. That's me, of course, in the dark wig. Ivanhoe was played by the incomparable Ian Rose, who was my co-writer on the script and who also staged the fights. A few posts ago in the comments section of Amanda's fun post on the Russian settlement of Fort Ross in California, she mentioned that she would like to hear about my Kodiak experience. It was one of the great adventures of my life and not only because of what you can see from the picture at the left. 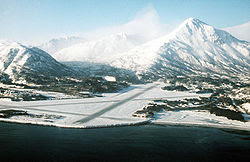 Every take-off was towards that mountain and every landing you wondered if you would stop in time. But the story begins a few months before our arrival. 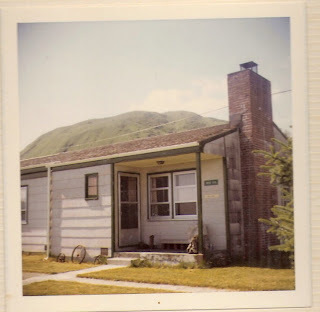 In the spring of 1972, six months into marriage, my husband, a junior officer in the Coast Guard, announced that his orders had been changed and we were not moving to New York City but to Kodiak, Alaska. Needless to say it took some time for this east coast girl to wrap her mind around a move that far from Fifth Avenue to a place so far west that Russia was a bigger influence than the "lower 48"
Two months later, we arrived in Kodiak. Take a minute and click on this link. if you scroll around it will give you a sense of the topography of an island the size of Connecticut. The base is not on the map but is about nine miles west of town on Women's Bay. If you move out you will get a sense of where Kodiak is in relation to the rest of the state, far enough south that we did have a few hours of daylight in the winter. The Blayneys took up residence in a true diamond in the rough, a two bedroom, one bath cottage with an amazing view of the main runway and the water. High on a hill overlooking the rest of housing, Quarters 24B gave us a much valued commodity -- privacy -- and contributed to our total enjoyment of the two plus years we spent there. It hardly mattered that our kitchen was original 1950's era when the base was built. Fabulous meals were downright easy when the menu included a constant supply of freshly caught salmon, halibut and king crab. Six of Paul's Academy classmates were assigned to Kodiak, most of them pilots of the C-130's and helicopters that are the backbone of the Coast Guard's search and rescue misson. We entertained all the time. An amazing number of people came through Kodiak and, if they passed through the legal office, we invited them to dinner. The outdoors was as entertaining as our friends. 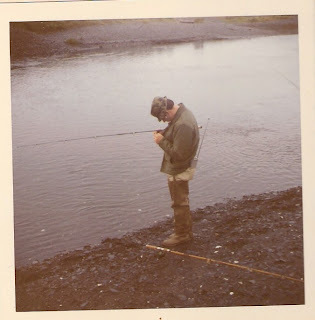 Kodiak is the only place we lived that I ever caught a fish or even wanted to try. I have a profound love of nature, its pysical beauty and power, but would prefer to observe it from a comfortable chair. Paul is the opposite. His Kodiak adventures included flying off (literally) after work to find a fishing spot no human had ever seen before, hunting in the Brooks Range where he and his buddy would be dropped off for ten days with no other human contact, a beachcombing trip by plane to find and retrieve a life time supply of whale bone (when it was still legal to collect it). ..
Once I did try an adventure with him -- flying out on a sea plane to collect razor clams. No one told me, until we were airborne, how big a razor clam is -- the size of an adult's hand. When you see an airhole you dig in the sand really fast and then haul it out. So not my thing. I tried to be a good sport but did not catch one. We both learned from that experience and except for some fabulous hikes I (happily) stayed home. Usually my friend, Linda Koloski, and I would worry enough to talk about what we do if our husbands did not come home (and yes there was at least one truly life threatening experience) but usually I did what I enjoyed the most, read books, wrote letters (lots of them), took pictures and, at the end of our stay, cared for our newborn son. If my blogged about writer's retreat gave me my most recent insight into myself as a aging boomer in the 21st century then Kodiak was fundamental in shaping the adult I am. Not only did it shape our marriage as one where we welcomed the other's intersts but it showed me a life style that was as different from my upbringing as sea ducks are from eagles. Living in Kodiak was a fabulous experience, research at its most basic. I began writing there. Who knows where my career would have taken me if I actually believed the National Geographic when they reponded positively to my query letter for a story (complete with pictures)on life on Kodiak. I was busy busy busy with other things and thought that the editor was just being nice. Boy, did I have a lot to learn about publishing! Kodiak was such a great experience that it deserves another post. Next time it will be about the Island and how history shaped it. Take a minute and share the place that ranks high on "favorite places I have lived" and how they shaped your life. By the way, Paul was eventually assigned to New York City, on Governor's Island. I loved every minute of that too, for entirely different reasons. I have been thinking about dark heroes lately. As a romance reader, I love them. So many romance writers write them well---I went to hear Ann Stuart speak on this topic at the RWA national meeting. She writes some spectacularly dark heroes (and I root for them even though they have done very bad things), and I searched the web for more on dark heroes. Her name, and her heroes, came up there, too. I thought what she had to say about the dark hero was so interesting and I've posted excepts from her interview (originally posted on All About Romance (see http://www.likesbooks.com/200.html)). "My heroes aren't honorable men, at least, not by conventional standards. They have their own moral code that they wouldn't break, and of course half the interest in the book is making him break that code, which is usually the one thing he holds on to. My dark heroes... tend to be lost souls, men who think they can't be redeemed, men who no longer want to be redeemed. At some point in their lives they crossed some kind of invisible line and they've given up on thinking they have any kind of decency or goodness. Since they're bad, and done bad things, they make sure no tough but vulnerable young woman confuses matters and tries to tell them they're worthy of being loved. ....The danger of a dark hero is irresistible to me. The battle for redemption is on such a huge scale that the triumph is even more powerful. 31 years ago, when my first book came out, the cover copy said " and one was Adam, a dangerous but compelling man who was either trying to murder her - or seduce her. Or perhaps both ..." .... A writer always has to make certain her villain isn't more interesting than her hero. I neatly avoid the problem by combining the two. Secondly, I write extreme darkness because I think if the hero and heroine can survive what fate throws at them then they can survive anything. ....In the end, what saves my hero, redeems him, is not the love of a good woman. My heroes tend to be charismatic, gorgeous, and good in bed. Most women love them. What saves him is his ability to fall in love. To care for someone, when he's tried so hard, for so long, not to care about anyone. It fascinates me." I asked her at Nationals what sustains the dark hero? Why is he motivated to be so bad all of his life? She answered usually not of revenge---that's petty and trite...and just not interesting. Their badness is part of their moral code, they live for it and their interpretation of honoring that code keeps them motivated. Pretty complex. And oh yeah, she said, they have killed--as she said above. That makes them as dangerous as they are bad...buts some meat behind the threat. As a historical author, I don't come across many heroes that have all of these characteristics---they seem to work especially well with paranormal heroes, but I am scratching my brain for one in a historical romance. What do you think? Can you recall some really dark historical heroes that meet most of the above critera? I'd like to hear about them---and read them! I promised--or made a vague threat--to talk about eels and it seemed a natural thing to do after Shakespeare and lavender. Say Wide Sargasso Sea to me and it makes me think of eels, not Jane Eyre or the first Mrs. Rochester. That's where both European and American eels spawn in the beginning of an extremely odd life cycle of metamorposes. Eggs hatch into leaf-shaped larvae, drift to the coast, and become elvers or glass eels, and take to a fresh water habitat, swimming upstream and even traveling overland before settling into a river, growing and becoming yellow eels. They can live there for several decades before returning to the Sargasso Sea as silver eels where they embrace a salt water environment again, reproduce and die. Like so many European species, eel populations are in decline. So the harvesting of elvers, in a season that lasts only a few days (the larvae will only enter waters at the right temperature), is now rigorously controlled. Once a local delicacy, most of them are exported to the Asian market. 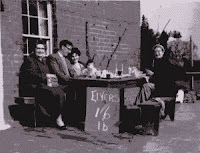 The Severn, England's longest river, is one of the major elver rivers. Read about chef Gordon Ramsay's elvering adventure here--even though he'd been granted a license he still came in for criticism from environmentalists (and no, they're not eating spaghetti). As for mature eels, they're mostly eaten now in a jellied form (the eel is naturally gelatinous, or slimy). There are still establishments in London where you can sample the classic Victorian triad of eel, pie, and mash. For an unbiased account of what jellied eels taste like, you can visit the Desperately Seeking Root Beer blog, written by an expatriate Californian. On the right, at another establishment, the jellied eels are in the foreground, and behind, the pie (a nonedescript beef), mashed potato and the green stuff is called liquor. I'm not sure what it is--it might be some relative of squishy peas, itself a relative of the pea. There is one working eel fisherman left on the London Thames, now the cleanest river in the industrial world, and you can see yet another Gordon Ramsay segment here; not for the faint-hearted, there are several eel decapitations and many f-words. Gordon then cooks the eels into a "posh fish finger... not even a hint of slime." With that, Fish Pies: to instruct the person who will be doing this job--because not everyone is a master of it--he should get his fish, that is, good bellies of tuna, good big filets of carp, good big fresh eels--and of all that he should get the quantity that is needed for the number of pies that he is ordered to make; take all of it and cut it into good-sized pieces and set it to cook in a good clean cauldron appropriate in size for the amount you have; when it is cooked, take it out onto fine tables which are good and clean, and cull through all your fish to remove any scales or bones, then chop it up well. Get good candied figs, prunes and dates and slice these up small, to the size of small dice; get pinenuts and have them cleaned thoroughly and get candied raisins and clean them well so there are no seeds left; of all of this take an amount proper for the amount of the fish filling you are making, wash it well in white wine, then mix it in with your fish in a fine pan. Then get another pan which is good and clean in which you will clarify good fine oil; when it is clarified put enough of that oil into your filling for that amount of it, then set it on hot coals to heat up, and stir it continuously with a good spoon. Then get good spice powder and put in a reasonable amount of it, and a lot of sugar. Then order your pastry cook to make large or small pie shells for you, and they should be covered. Have you ever eaten eels in any form? Or something else strange and authentic? As you’ll know if you’ve seen my Twitter updates, I spent the last week in July at the Oregon Shakespeare Festival in Ashland. H0me for more than a week, and I confess a good portion of my brain is still in Messina, River City, the Globe Theater, and assorted other settings from the plays we saw. I blogged about some of plays the last two weeks on my own website, and as the posts touched on story-telling and history, I thought I'd repeat them here. 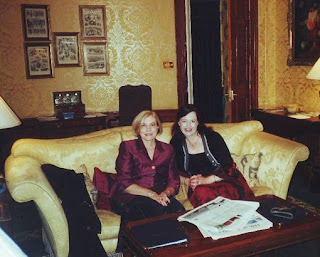 My good friend, fellow writer, and plotting partner Penny Williamson and I have been going to OSF together for years (that's us above at the Howard in Edinburgh, since I didn't have a scanned picture of us in Ashland). When we're not in the theater on our Ashland trips, we're usually discussing and analyzing the plays over brunch or drinks or dinner or while strolling in and out of shops. Over dinner the last night of our trip, we found ourselves discussing the heroes of two of the plays we'd seen and the transformations they undergo. Benedick begins Much Ado About Nothing tossing off clever repartee and exchanging witty insults with Beatrice. Then, in the midst of the play, after Benedick has been tricked into admitting his love for Beatrice and she hers for him, the story takes a dark turn. Beatrice’s cousin Hero is falsely accused of infidelity on her wedding day. Benedick’s friends, Claudio (Hero’s fiancé) and Don Pedro, believe the story without question, turning Hero and Claudio’s wedding into tragedy. Even Hero’s father condemns her at first. Of the major male characters, only Benedick questions the truth of what has happened. Eventually, he trusts Beatrice’s faith in Hero’s innocence enough that he challenges Claudio to a duel and discontinues his service to Don Pedro. When Claudio and Don Pedro try to joke with him later in the play, it’s Benedick who reminds them of the gravity of the situation. Benedick shows his mettle and the strength of his commitment in the second half of the play. In the end, when he and Beatrice—still bantering—are betrothed, you truly believe the marriage will work. Harold Hill in The Music Man also undergoes a transformation. He begins to woo librarian Marian Paroo under the mistaken impression that she’s a “sadder’ but wiser girl,” planning to skip town before the residents of River City can discover that he’s incapable of leading the boys’ band he’s sold them on. But even as Harold transforms starchy River City (wonderful evoked on the OSF production by the costumes changing from shades of gray to vibrant color), he is also transformed. When he realizes Marian has fallen in love with him, knowing full well that he is an impostor, he becomes the man she believes him to be. Watching the OSF production, I was struck by the amazing emotional shifts Harold undergoes in the latter part of the story. From realizing Marian loves him but thinking she’ll hate him when she knows the truth, to his wonder at the revelation she loves him for who he really is, to his realization that with this he loves her and can’t run. In the end Harold stays in River City to face the music (which at that point looks as though it will be decidedly unpleasant), a moment beautifully captured in the this production when Harold holds out his hands to be handcuffed. And then there’s his stunned amazement when Marian hands him a baton to lead the boys—and girls in the OSF production—band, and the young musicians manage to scrape together enough notes to delight their parents. Benedick’s and Harold’s emotional arcs were brilliantly catpured in the OSF productions by David E. Kelly (as Benedick) and Michael Ellich (as Harold). The audience saw both men grow and change over the course of the plays, and that growth made the endings to both plays ring with heart-warming truth. Another highlight of our trip was the world premiere production of a fabulous new play called Equivocation by Bill Cain. I mentioned Equivocation last week in the comments following Lauren's great post on authors as characters in fiction. Equivocation begins with James I’s minister, Robert Cecil, demanding that Shakespeare write a play about the Guy Fawkes plot, adding almost apologetically “The King wants witches.” Shakespeare, called Shagspeare or Shag in the play, is torn, seeing the impossibility and dangers of writing the play, seeing also the risks of refusing. The members of the Globe Theater company are torn as well, but in the end agree he should take the commission. Then Shag begins to investigate the Gunpowder Plot and to question if the official version of events is really the truth. Equivocation is a brilliant play on a number of levels. It’s exciting storytelling as Shag attempts to unravel the truth behind the Gunpowder Plot. There are fascinating philosophical layers about power, forgiveness, the nature of truth, the nature of theater. Much of the dialogue is laugh-out-loud funny, but there are also moments that make you gasp at the tension, and the end had me in tears. One thing that struck me in terms of Lauren’s blog is that the portrait of Shakespeare really seems like the man who might have written Shakespeare’s plays and that he thinks and talks like a writer. (I felt the same about the Shakespeare in Shakespeare in Love). The actor characters in Equivocation also ring true. There’s a wonderful scene early on in Equivocation where they’re rehearsing King Lear and complaining it doesn’t make any sense (everyone’s mad or pretending to be mad and no one’s listening to anyone else). Richard Burbage says “if we got through his comedies-don’t-have-to-be-funny period, we can get through whatever this is.” . The actors in Equivocation (Anthony Heald, Richard Elmore, Jonathon Haugen, John Tufts, Gregory Linington, and Christine Albright) did a fabulous job of bringing this complicated story to life (Equivocation, like The Music Man, was directed by OSF's new artistic director Bill Rauch). Even though of course you knew most of them were playing multiple parts, the characters seemed so distinct that it was almost startling in the curtain call to remember there were only six of them. There were many moments in Equivocation and other plays we saw when I wished I could find the words as a novelist to capture the emotions being so eloquently brought to life on stage. Going back to my comments on Benedick and Harold Hill, do you have favorite characters, in plays or books or movies, who change and earn a hard-won happy ending? What makes the change particularly believable? Do you have favorite plays or books or movies that depict writers and/or actors? What makes them work? Writers, do you find theater inspiring? If you are traveling in Provence, you will perhaps admire the purple haze of lavender fields. Lavender (lavendula angustifolia), known as “l’herb de Provence,” is a small aromatic perennial shrub grown for use in sachets and soap and for lavender oil which is used both as a medicinal and as a perfume. Fresh, crushed, or dried the herb is used as a tea and as a stimulant, sedative, antiseptic, linen-closet freshener and moth repellant, in bathwater, to treat burns and bites; “wands” of stems can be tied in bunches and burned as incense sticks. There is even lavender-flavored lemonade. Christian legend tells us Adam and Eve took lavender from the Garden of Eden; the fragrance came later when Mother Mary laid the laundered clothing of Baby Jesus on a lavender bush to dry. Many early Christian households hung a cross of lavender over the door for protection against evil. The first written record of the healing uses of lavender is attributed to the Greek physician Dioscordes in 77 A.D. Working for Emperor Nero, this physician collected plants and experimented with their use in washing and in repelling insects. Roman soldiers took lavender on campaign with them to dress war wounds and treat skin ailments. Romans at home fumigated sick rooms with it and sweetened the air by either strewing it on the floor or painting their walls with a lavender infusion. The Romans also perfumed their hair, bodies, clothes, beds and baths. Women hung lavender next to their beds to incite passion. A bunch of lavender was placed under the bed of newlyweds. Lavender is thought to have been first domesticated in Arabia and, with the 7th century Arab conquest of the Middle East and Spain, the use of lavender spread throughout Europe. Arab physicians and researchers such as Avicenna (980 A.D.
to 1037 A.D.) in particular studied medicinal uses of the herb. Nuns and monks in the dark ages preserved herbal lore by copying ancient manuscripts (originally translated by the Arabs from Syrian and Old Persian). The Holy Roman Empire in 812 A.D. charged monasteries with growing medicinal plants and flowers. Lavender is first mentioned in England in 1301, in the records of Merton Priory where it was used to raise money for King Edward I. In the 12th century, Hildegard von Bingen noted lavender’s effectiveness in treating head lice and fleas. When Henry VIII dissolved the English monasteries, lavender culture moved to domestic gardens. Traditionally it was planted near the laundry, and washed clothing was laid over the plants to dry with an enticing fragrance. Mixed with beeswax lavender made furniture polish. Queen Elizabeth I drank a lavender tea to treat her headaches and was so enthusiastic about the plant she encouraged the development of lavender farms. Charles VI of France stuffed his cushions with lavender. Glovemakers in France were licensed to perfume their gloves with lavender because it was believed to prevent cholera. Queen Victoria loved lavender! She appointed a special “Purveyor of Lavender Essence to the Queen,”and lavender came to be fashionable among her ladies. Street sellers in London sold lavender dried; it was then put into muslin sachet bags for wardrobes and between bedsheets. Young women wore small sachets in their cleavage to attract suitors. London became the center of lavender oil production. In America, Shakers were the first to grow lavender commercially. Later, when the founder of modern-day aromatherapy, Rene Gattefosse, burned his hand while working in his laboratory, he used lavender oil which stopped the pain and healed the burn with no infection or scarring. The plant can be propagated from cuttings or from seed, requires good drainage, likes chalky soil and lots of sunshine and needs no fertilizer. Extracting the essential oil is by steam distillation, just like brewing whiskey in a still. One acre of lavender yields 300 to 1800 pounds of dried flowers or 2 gallons of essential oil. Right now, I’m working on a book in which Jane Austen appears as a recurring side character. I hadn’t originally intended to put Jane Austen in a book (that does sound a bit macabre, doesn’t it? like stuffing her into a box), but with my characters gallivanting around Bath in 1803, I eventually gave in to the inevitable. When I mentioned this to friends, the usual response, after the laughter and squealing noises, was a firm admonition not to make Jane Austen too nicey-nice. As my college roommate complained, the impulse all too often seems to be to conflate Jane Austen with the wimpier of her heroines, when, in fact, one imagined she’d the sort of person standing on the side of the Pump Room making snarky comments. It’s true. When you read Austen’s letters to her sister, there’s a wonderful, barbed humor in there, nothing like the bonnets and gloves nicety we ascribe to her simply by virtue of her posthumous reputation. All across the bookshelves of America and the UK, long-dead authors are finding themselves turned character, in works of fiction ranging from the more traditional quasi-biography-with-dialogue (in the Austen context, one of my favorite of these is Syrie James’ Lost Memoirs of Jane Austen) to departures under various subgenres, such as Stephanie Barron’s Jane Austen detective series, in which the intrepid author goes about solving a series of crimes. I’ve even heard rumors that Austen is about to appear in a colleague’s work as a vampire slayer. Buffy, eat your heart out. It’s not just Austen, although she seems to be the favored target. 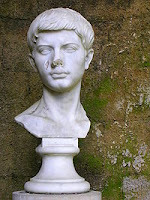 A few years ago, I read a mystery in which Virgil had been pressed into service as detective in Augustan Rome. To be fair, this is nothing new. Dante also used Virgil as character, conscripting him as guide through the layered landscape of hell. After that, a bit of light detection must have seemed a piece of cake to the old poet. Given that I’m writing a book with an author in it (the extra author is for extra flavoring! ), it seems hypocritical to complain about the practice. But there’s something about the author-as-character trope that, while it intrigues me, also makes me uneasy. Part of it has to do with the dividing line between the role of author as observer and author as person. In writing, authors serve as method actors, piping words into the voices of their characters that they themselves would never speak, crafting worlds which are meant to stand on their own, with no relation to the author’s own. In taking the author as character, do we, as my friends complained, make the mistake of confusing the author with her creation? 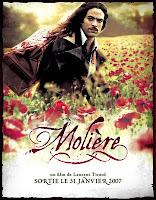 Nowhere was this made more clear for me than in a French movie about the life of Moliere, cleverly titled Moliere. Rather like Shakespeare in Love—only French—the film followed a young and dashing Moliere as he stumbled through the plotline of Tartuffe, only then, of course, to write Tartuffe. It was great fun (who doesn’t love long-haired men in seventeenth century costume with a few of Moliere’s one-liners thrown in? ), a wonderful series of literary and seventeenth century in-jokes, but, in its own way, seemed to belittle Moliere’s creative genius by equating the worker too closely with the work, as if to suggest that the playwright must have lived it to write it. Of course, that wasn’t what they were trying to do; it was all done in good fun, very obviously intended as a literary never-never land. Fiction, in fact. But one wonders what Moliere would have thought. What are your feelings on the idea of author as character? Doreen could not fit in a post today so I offered to sub for her. My original thought was to write about the history of copyright, a subject that came up in the comments section of Tracy’s post last week. Wow, did I have delusions of intellectual grandeur. You can check out this website if you are interested in the subject. http://www.asmp.org/tutorials/brief-history-copyright.html. For those not inclined to click I hope to ask a copyright attorney to sub for me sometime and he/she can tell you all about it. For the last ten days I have been on a fabulous writer’s retreat. Actually I’ve been house/dog sitting for friends. They live in the country, at the crest of a hill surrounded by woods. It’s quiet here. Really, really quiet. My only company has been two very self-sufficient dogs. There is no cell phone service but thank heaven they do have hi-speed internet access. My friends are coming back tomorrow. So today I went out again to buy some welcome home flowers and stopped at the ice cream shop for a sundae. Ten days with only two visits to the outside world. Anyone who knows me would be amazed. I know myself and I’m amazed! This house sitting experience has to rank as one of the eye-opening experiences of my life. I never thought I could last this long with so little social interaction. Last night as I was trying to figure out what a noise was (very lightly ringing wind chimes) it occurred to me that the Internet is what made this hiatus possible. Email and Twitter have been the mainstay of my contact with the outside world. Now I am fascinated by the concept that something that brings people closer also makes it possible to keep them at a distance. Well over two hundred years ago people settled the town near here with no such contact. They relied on people passing through to tell them what was happening in the world. And the occasional letter for family news. This made me wonder how mail was delivered before there were post offices in every town. Check the Postal Museum site for more information on this: http://www.postalmuseum.si.edu/exhibits/2_exhibits.html. Yes, it’s been eye opening for me. How interesting that at my age, with grown children and a retired husband, growth in self-awareness is still possible. I suspect that as long as society keeps changing, as long as new technology is being invented and as long as I am open to new possibilities there is more growth on the horizon. I can’t wait. I post again next Monday and I will write about a much earlier mind expanding experience (which had nothing to do with drugs). A move that changed my life and will, hopefully, have more to do with research. By the way, it never occurred to me to bring my camera or I would have included pictures of this corner of the world.